← Father, I Am In Need! This passage reiterates not only God’s desire to meet our needs with His own personal Presence, in the gift of the Holy Spirit, He also gives us what we ask for without begging. Those who are children of the King of the Universe, by Jesus shed blood, do not have to beg. This guarantee is absolutely sure, so long we are asking according to his will (I John 5:14-15). This parameter must be made clear, because of all the faulty prosperity gospel teaching buffeting the church in America. Purveyors of this heretical teaching believe their “God” behaves like a genie, where the one asking becomes the master. The false “god” of prosperity preachers is not THE One True God, Who’s fullness is seen bodily in Jesus Christ: who is Wonderful, Counselor, Mighty God, Everlasting Father and Prince of Peace (Colossians 2:9; Isaiah 9:6). That being said, our God and Father does desire to give us our needs and every good gift. It is for this reason Jesus taught us to pray “Give us this day our daily bread” (Matthew 6:11). Last week we discovered that the request for “daily bread”, has a purpose in training us to be dependent on God’s grace and has its foundation in the instruction given to Israel, concerning God giving them manna. As they should have known, we can be sure that God will supply our need for food daily, so long as we ask Him in trust. Once again we find this affirmed in Psalm 37:25. (Psalm 37:25) “I have been young and now am old; Yet I have never seen the righteous forsaken, nor his descendants begging for bread”. We must approach this promise properly, or be at risk of massive disappointment. In the first place, “the righteous never being forsaken” means never forsaken by God Himself. Secondly we understand “his descendants begging for bread” to mean, God will provide enough bread to live. We may rejoice in this truth, while having a refrigerator full of food, or at least enough money to go to a store and buy a loaf of bread, but Psalm 37:25 is govern our faith when in the most dire circumstances. I can almost hear someone shouting “Wait a minute Bucko! You just said He gives us our daily bread. I get that It may be less than I think I need, but you said it is a guarantee!” Yes I did, but let us look to the Son of God and what was needful for the body in the wilderness temptation. What is more needful for the body than food, after having not ate for forty days and forty nights? Medically speaking, for people in their normal weight range, forty days of fasting, places them in starvation and on the verge of death. Let’s give further consideration, as to how difficult it is for most Christians in America to fast only one day, or even one meal, or go without eating for forty minutes; let alone forty days. In the wilderness Jesus was in physical, emotional and mental need of food. Yet more needful than food, in that hour, was the need to be sustained by the God’s word alone. Our need is the same. Truly we must begin to understand that God’s word is not just the foundation of our faith, concerning true doctrine and practice, but also the principle source of sustenance for spirit, soul and body. Perhaps no O.T. passage displays this better than Psalm 1:1-3, where we are instructed to meditate or “chew the cud” of the word of God, which is called “the law of the Lord”. 1 Blessed is the man… 2… his delight is in the law of the Lord, and in His law he meditates day and night. 3 He shall be like a tree planted by the rivers of water, that brings forth its fruit in its season, whose leaf also shall not wither; And whatever he does shall prosper. In this passage, delight for and pursuit of the word of God, is the foundation of the blessed life. In light of this truth we understand “the Law of the Lord” refers to the written word of God which was spoken by God to men; then written by men under the inspiration of the Holy Spirit (II Timothy 3:15-17). This word of God, when received by men in faith can be understood by the Holy Spirit (John 14:26; II Corinthians 2:14-15). As the word of God is understood through Holy Spirit illumination and acted upon in faith, being received as God’s word, it works powerfully in and through our lives (I Thessalonians 2:13). This is how our Savior overcame in the wilderness, for very practical Jewish reasons. As illustrated in Psalm 119. (Psalms 119:9-11) 9 How can a young man cleanse his way? By taking heed according to Your word. 10 With my whole heart I have sought You; Oh, let me not wander from Your commandments! 11 Your word I have hidden in my heart, That I might not sin against You. In light of this passage, let us remember that Luke’s gospel tells us Jesus was filled with the Holy Spirit, before being driven into the wilderness (Luke 4:1). 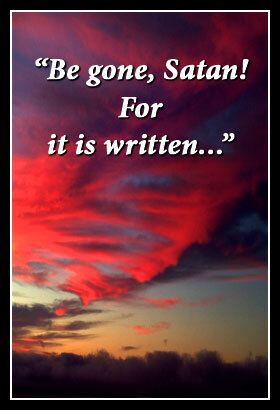 Despite this truth, our Savior did not have a Bible in His hands when Satan came to tempt Him. So how was it He gave exact word of God answers from the scriptures to Satan? Some would suggest the word of was pre-programmed into His perfect human flesh, but that is a large over reach. Philippians 2:5 reveals that the Living Word emptied Himself to be born of woman, under the law. Aside from Jesus virgin birth, allowing Him to be born without a sin nature, Jesus tackled temptation as we have to: obeying the word of God in the power of God’s Spirit. This is where Psalm 119:9-11 comes into view. As Jesus grew up He was in subjection to his parents and grew in favor with God and man. This means he attended Hebrew school, where He learned to read from the O.T. scrolls and recited the Shema (Deuteronomy 6:4-6), and multiple other passages in order to “hide them in His heart”. When His temptation in the wilderness arrived, He had enough ammunition not only to not sin, but to thrive through the sustaining power of the word of God and power of the Holy Spirit. Throughout His life, Jesus delighted in and fed upon the word of God more than any other man in history. When He was at His greatest point of weakness, the word of God gave Him strength to overcome temptation, as the Holy Spirit brought The Word to His remembrance. Is this not what we need in our life; to delight in the word of God so much, that we discipline ourselves to hide it in our hearts, so we will not sin against Him? Yes a thousand times, for the days will come upon us when no amount of food, or human encouragement with sustain us through trial and temptation. 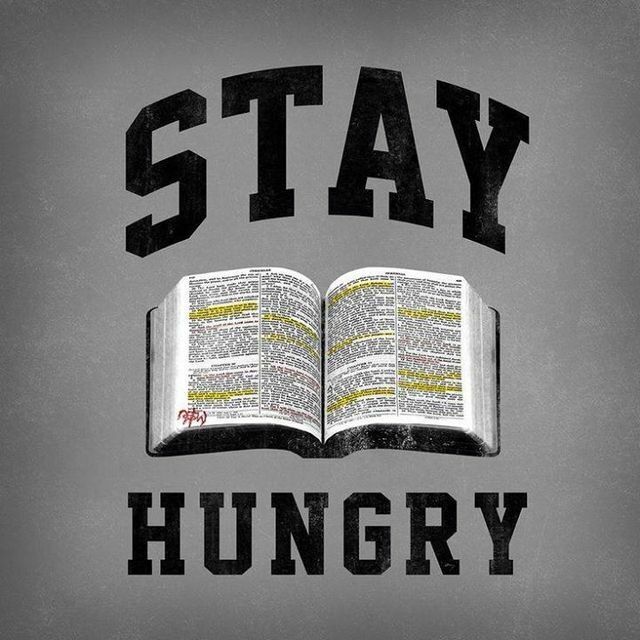 In those times, which are closer than we care to admit, only the food of the word of God will sustain us. Understanding this truth will help for sure, as we believe that the word of God is truly bread indeed. Yet the word of God is even more than what is written or spoken from the mouth of God. The word of God is a Person, in fact God Himself and the One who is the second person of the Trinity. John 1:1-5 announces the Word of God, as being fully God, and the One by Whom all things were created. In John 1:14 the Word becomes flesh. In this we know that Jesus Christ is the Living Word of God. This truth is not allegorical, but actual. 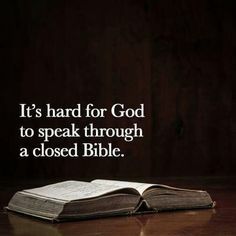 (Hebrews 4:12-13) 12 For the word of God is living and powerful, and sharper than any two-edged sword, piercing even to the division of soul and spirit, and of joints and marrow, and is a discerner of the thoughts and intents of the heart. 13 And there is no creature hidden from His sight, but all things are naked and open to the eyes of Him to whom we must give account. Once again we see the word of God being referred to with the personal pronoun “His”. In this truth, let us dig deeper into the sustaining Presence of the word of God with us. In John 6 Jesus declares that He is the bread of life and in so doing ticked a lot of people off, yet not more so then in verses 43-58. In these verses Jesus declares that His flesh is food indeed, and His blood is drink. He also declares that unless you eat His flesh and drink His blood, you are basically condemned for eternity. Boy, did the people go berserk! Yet Jesus was speaking to them not in a physical sense (John 6:63). What was Jesus saying? He was declaring the principal, that if a person, will walk in His life, obeying God’s will (denying themselves for the kingdom of God,taking up suffering for His sake, loving the brethren and walking by faith), then His Presence would truly sustain them as food. This is what is referred to as being in union with Christ, or being filled with the Holy Spirit. Is there any doubt it is Jesus Himself, that sustains our brethren suffering the horrors of persecution, with all its torment and deprivation? Is there any doubt it is Jesus Himself, prevailing against all the impossible odds they face? It is the Living Word of God, through the Holy Spirit, enabling them to continue in the faith. It is the very Presence of Jesus with them, that deepens their love for their enemies, giving them endurance for long stretches of torture. It is the bread of life, through God’s Word with them, that fills them with grace at the hour of their death. Oh that we too will live not by bread alone, but by the very Living Word of God. Jesus Christ is that Living Word. May our lives shine in godliness and love, as we partake of Him. This entry was posted in Every word proceeding from the mouth of God, Living Word of God, Matthew 4:4, The Lord's Prayer, Word of God. Bookmark the permalink.